You would have been troubled at least once due to poor lighting, haven’t you? I have. 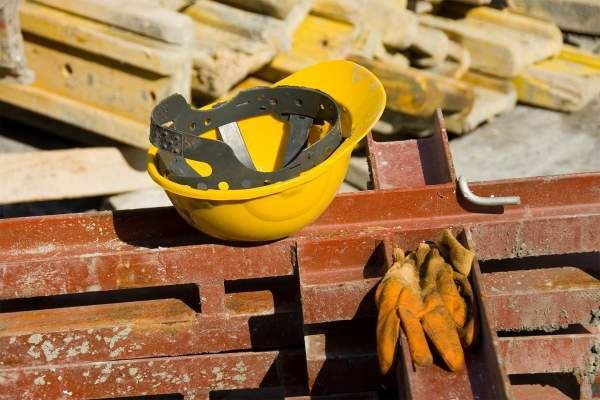 It is no secret that there are effects of poor lighting at workplace or home on human health. When it comes to poor lighting, it is not only the low light level that affects, but there are many factors that are equal contributors to poor lighting. Each of these can affect us on both mental and physical levels. Yes it does. You would be very well aware of the physical effect poor lighting can have on us. I was made aware about the physical effects poor lighting can have since a young age by my elders. I guess we all are and to find out more about the various effects it can pose, continue reading. To increase light intensity in office or home we can increase the number of lamps / bulbs to tackle poor lighting. We can use LED bulbs to control electricity bills. In case of wrong place where extra lighting is not possible you can move to a place in your office or home where light is brighter. Please do not place light source just behind the worker. Identify the source of Glare and change the position of it. If it is due to light source the change the position or place of the power source. If it is because of anything shiny then we can coat with matte or change the angle of the reflector. We can also use Glare reduction Glass to reduce glares. Read More about How to carry out Lighting Assessment for your Office of Home. Paint your home or office with light colour so that you can get maximum reflection of existing light. Lighter shades also make you feel the room bigger. If you have small windows then make them bigger. This will not only save your electricity bills but also improve the airflow or air circulation in your home or office. Read more about how to improve Indoor Air Quality? Proper lighting at workplace is essential. It can turn out to be safety or health hazard as well. Poor lighting usually leaves the person with eye strain. Eye strain is a very uncomfortable feeling. It can also get linked up with other eye related problems. If one spends more time working in poor lighting, the quality of his vision may start to deteriorate. Also most of the workplaces involve working with computers. This with poor lighting will definitely result in eye strain and eventually deteriorate eye vision. To avoid eye strain due to poor lighting, one can set the contrast and brightness of the computer screen to his comfort level and make use of desk lamps to ensure proper lighting. If possible one can also shift his table near the window to receive natural light on his work table. This one of the common effect of Poor lighting at workplace. Working with poor lighting might leave one with headaches, as one has a trouble focusing on the computer screen or on the work in front of them. Headaches will prevent you from being effective at work, thus reducing your efficiency. 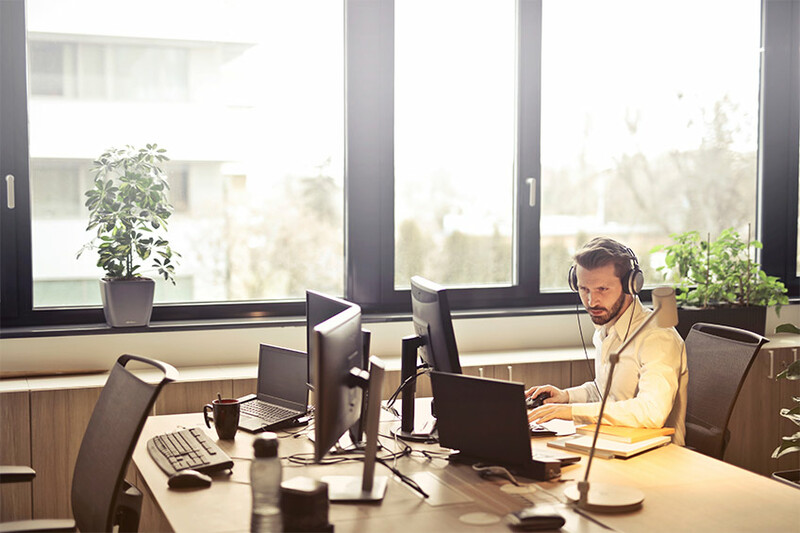 To avoid headaches due to poor lighting, one can also make use of desk lamps or computer lamp to bright up the work table area, but before doing so the reasons for poor lighting must be checked and accordingly actions should be taken. Painful back and neck are a result of poor lighting. Poor lighting usually makes you sit in an uncomfortable position while working. The pain in the back and neck can fade away with the use of stretching and yoga, but ensuring proper lighting systems will help you eliminate the cause. Accuracy during work depends upon light. Poor lighting can result in high chances of human errors. Low accuracy equals to low efficiency which thus has a direct impact on the productivity. This is very dangerous effect of Poor Lighting at Workplace among all. In poor light it becomes difficult to estimate shape, size or depth of space or objects. It thus becomes a place where accidents of any type can occur. Due to this, many a times it is said “Poor lighting is safety and health hazard”. Coming down to mental effects poor lighting can have on us. 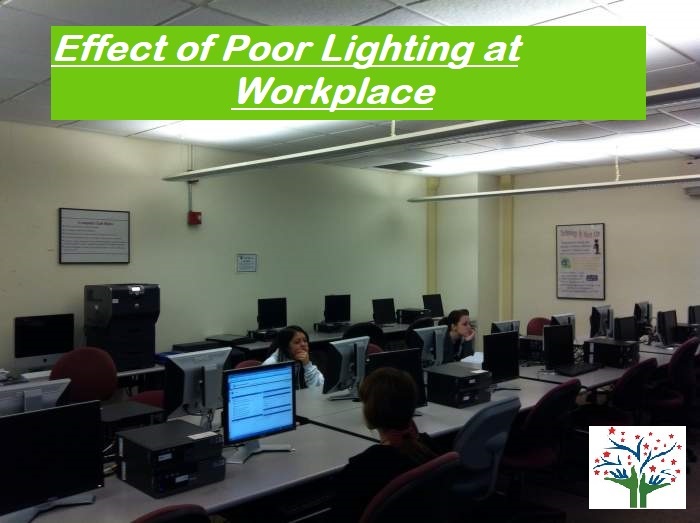 Poor lighting in workspace tends to make employee feel sluggish, depressed, and stressful. It affects the concentration level and eventually has an effect on the satisfaction level one has from his current job. All these factors eventually have a negative toll on the business performance. Proper lighting at workplace will help improve work efficiency. It creates a positive environment at work. To ensure proper lighting one can hire consultant or experts to perform light assessment. They will give you an idea about the current scenario at your workplace and aid in avoiding the various effects poor lighting can have by giving solutions to ensure good lighting.